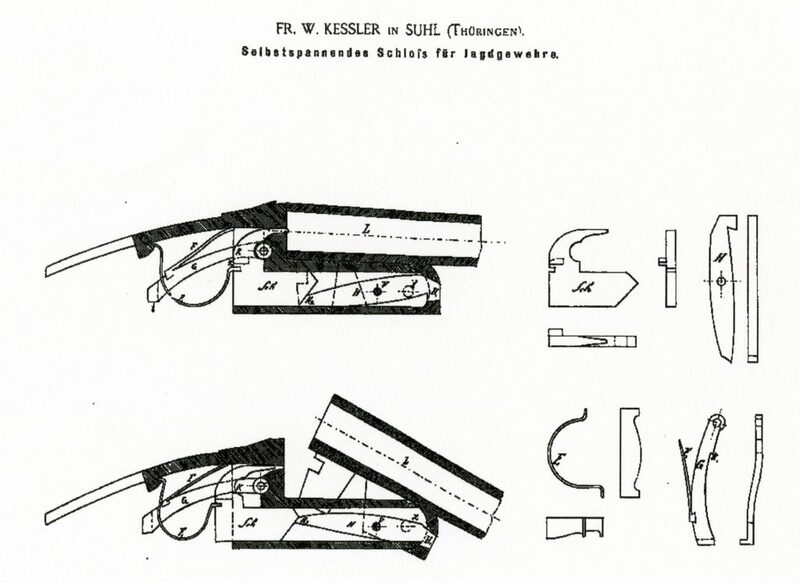 Bernhard Kessler- (1875- 1952) minor gunmaker in Suhl. Competitor in the 15th Bunesschiessen in 1906. 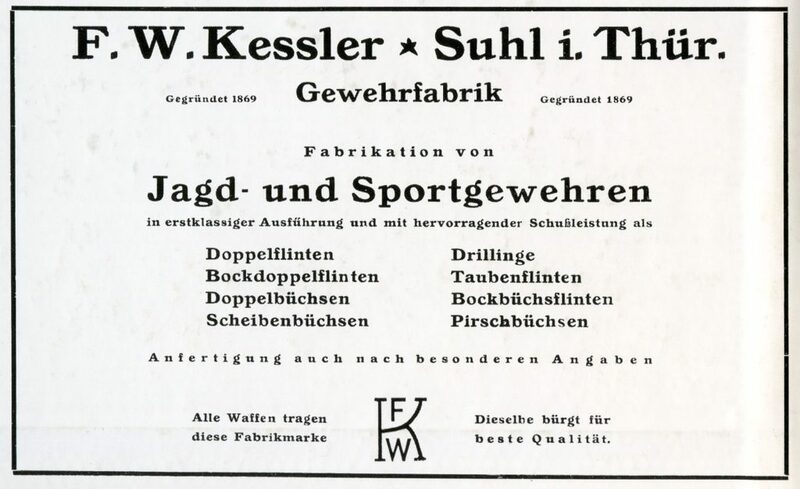 Friedrich Wilhelm Kessler (F-W-K)- (July 26, 1845-Sept. 7, 1919) founded the firm F. W. Kessler- Gewehrfabrik in 1869. 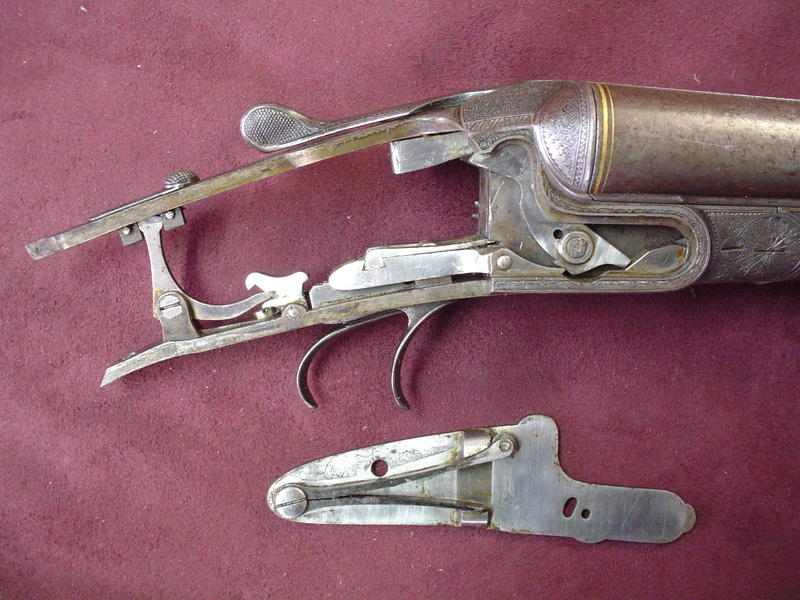 They produced a large range of sporting guns. 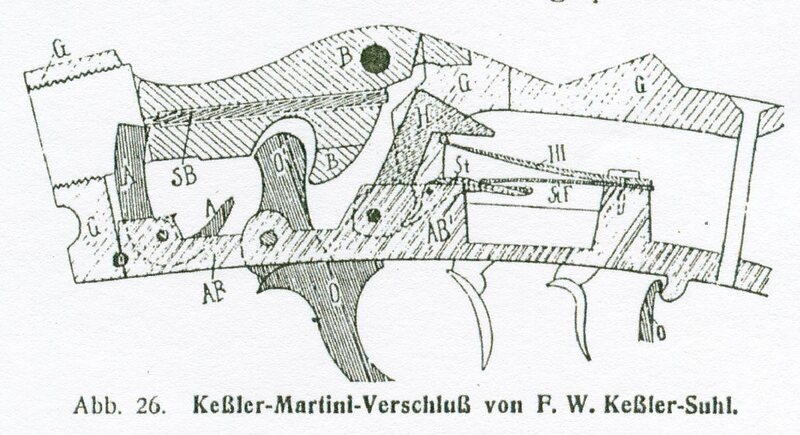 Located at Kleine Bacstrasse 1 they produced a Henry-Martini rifle which was distinquishable by its one piece stock surrounding the action. 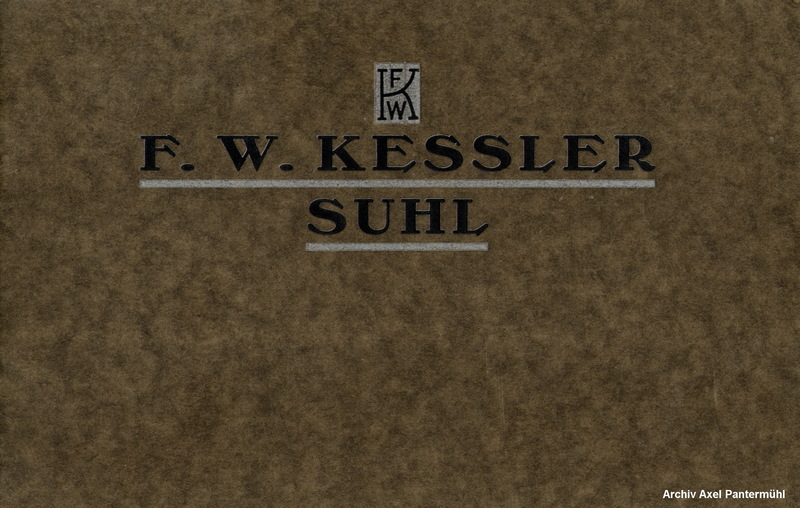 The following F. W. Kessler catalog was kindly made available by our friend Axel Pantermühl in Germany from his extensive archive. Click Here to view the full catalog. 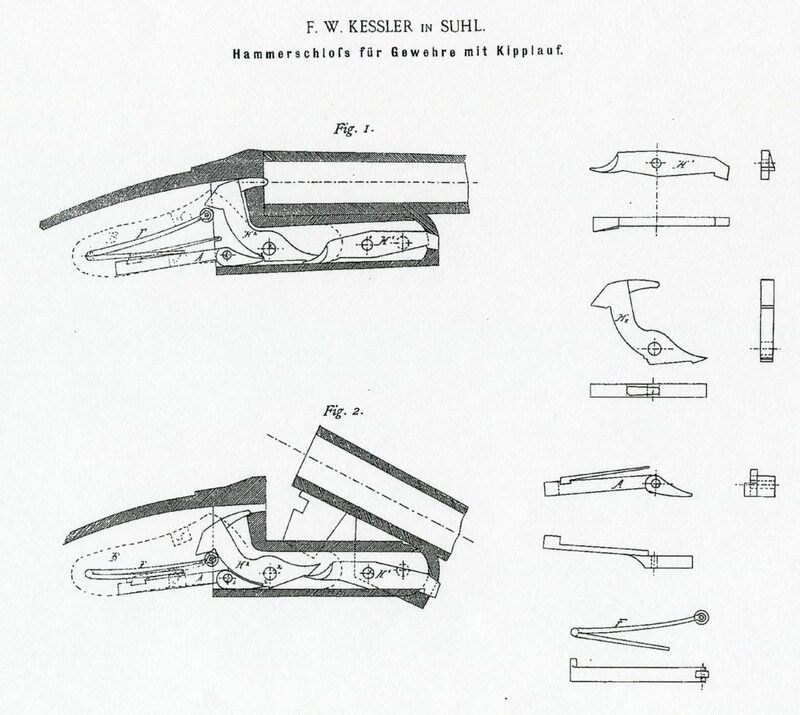 Following are pictures of a side by side shotgun built on patent no. 62231. 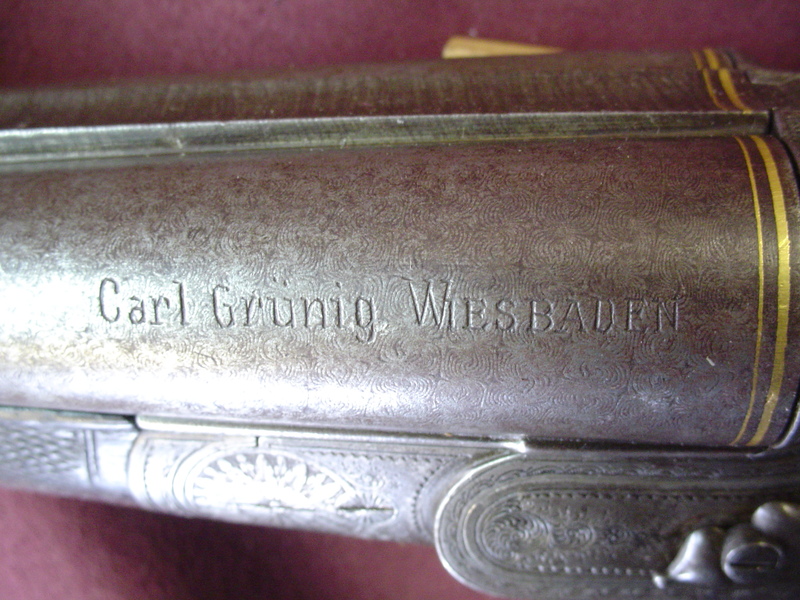 It does not have a makers name on it but it does have the name of the origional owner- Carl Grünig of Wiesbaden. 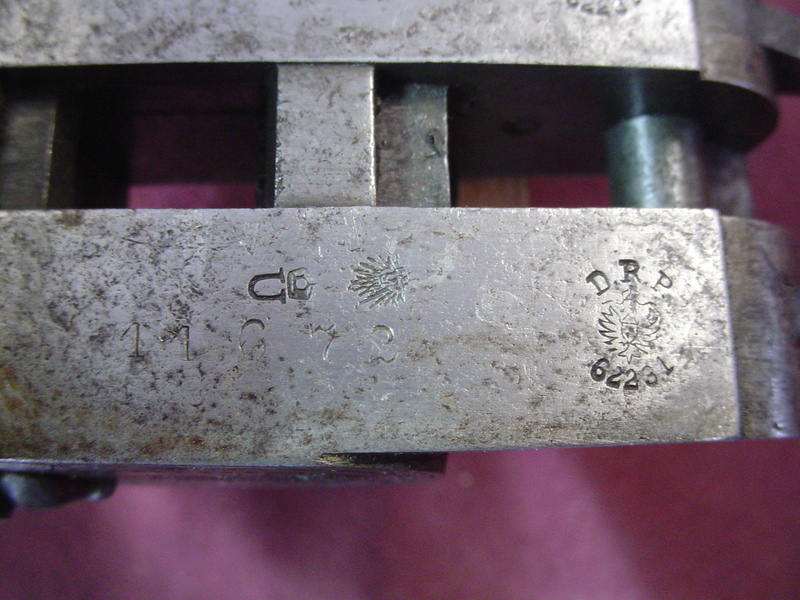 It is also marked “DRP 62231” on the receiver water table. 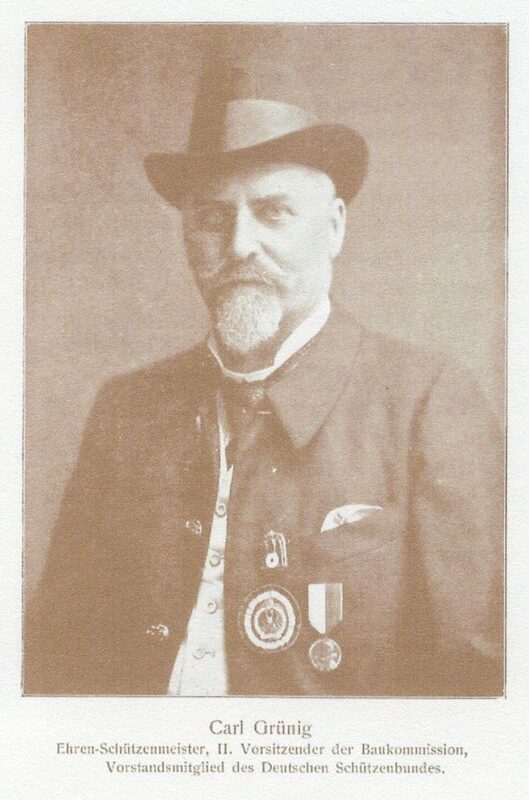 In 1881 Friedrich W. Kessler exhibited in the Gewehre und Industrie Aunstellung where he received a Bronze medal. 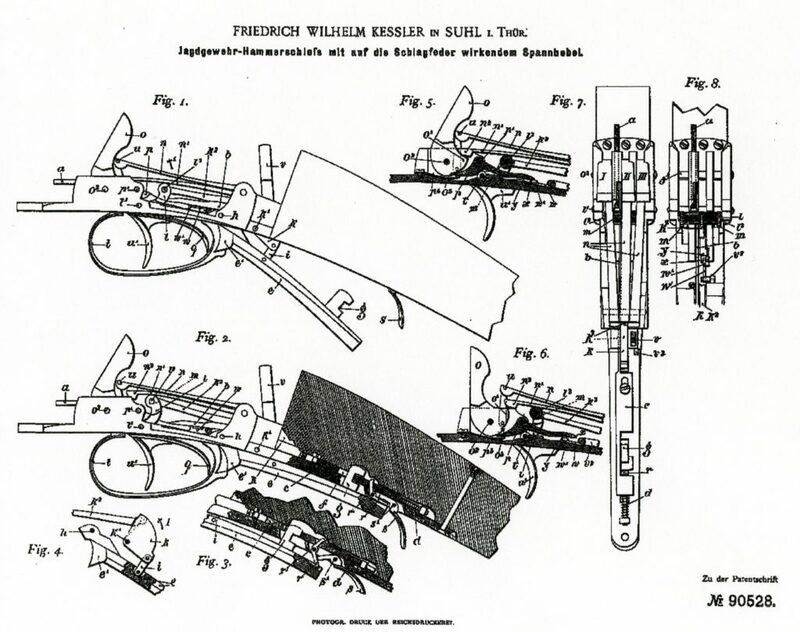 Fritz A. Kessler- (1903-1939) a gun parts maker in Suhl in the mid to late 1930’s. 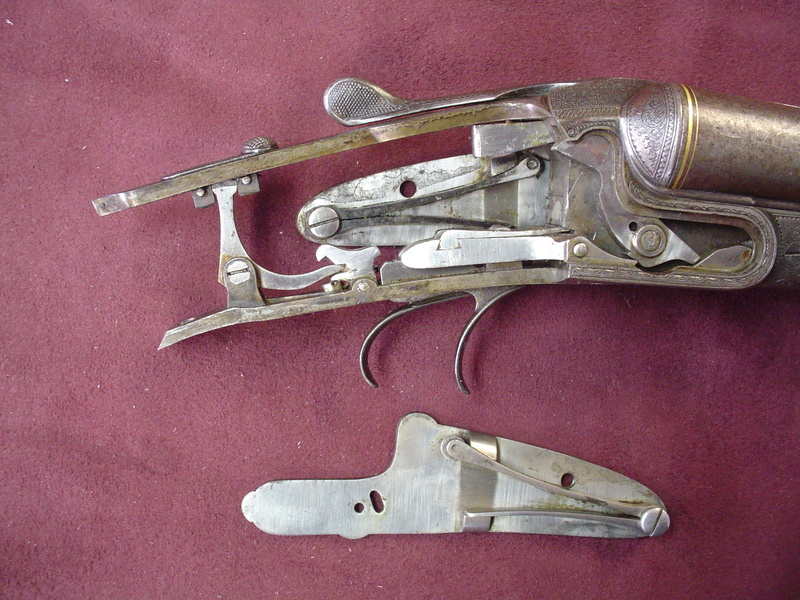 Supposedly made shotgun receivers and actions, sights, springs, etc. for other makers, a sub contractor. 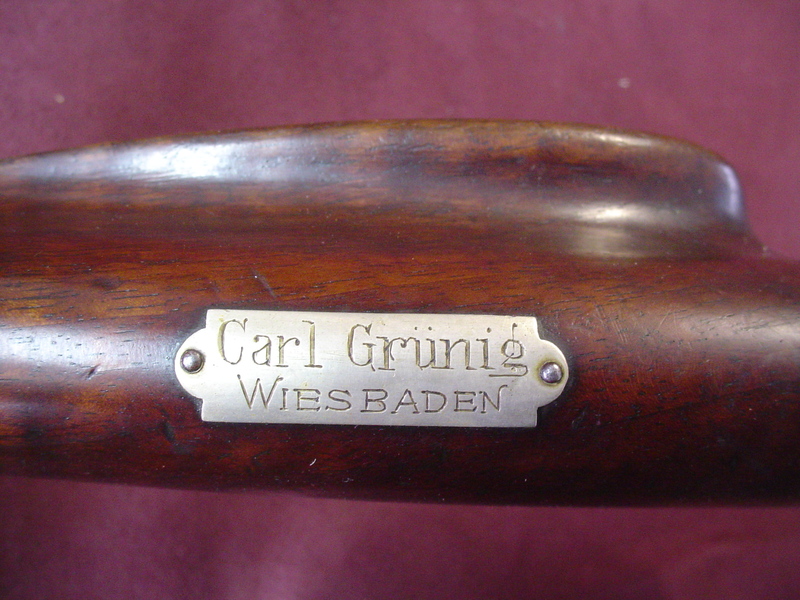 Gustav Kessler- a gunmaker in Zella-Mehlis in the mid to late 1920’s. 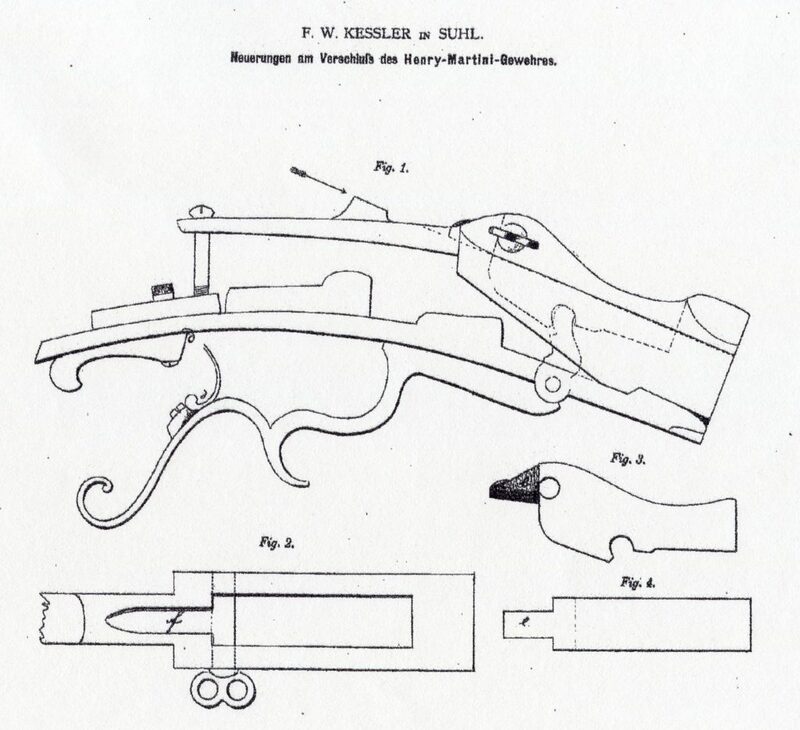 Kurt Kessler- a gun maker located at Windeweg 7 in Suhl in the mid to late 1930’s. Otto Kessler- A master stock maker in Zella-Mehlis near Suhl in the mid and late 1930’s. His address was Anspelstrasse 18.